Hello Everyone as you are aware me and my team of 7 talented bloggers challenge ourselves every week to cook and present something new as per the theme .This weeks theme is #Alphabetname which means we have to cook something using an ingredient that starts with the same alphabet as our name. 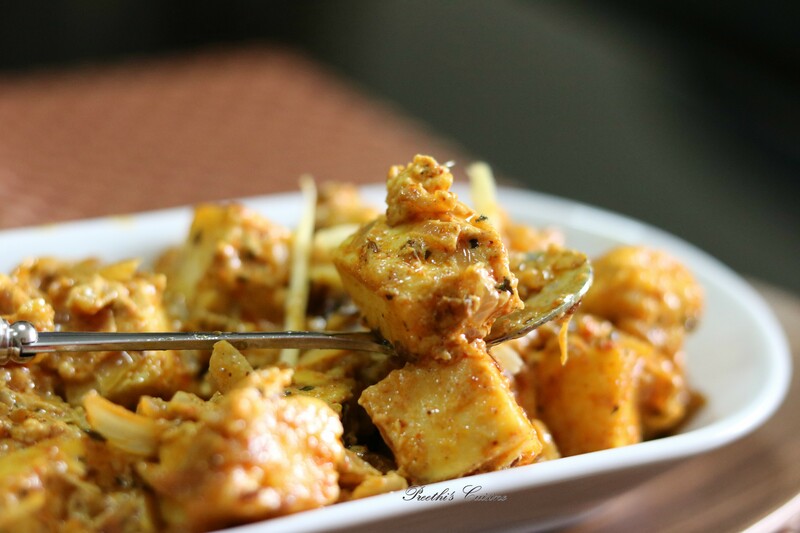 As my name starts with P , I chose Paneer which is loved by majority of us.I always like to experiment with it. 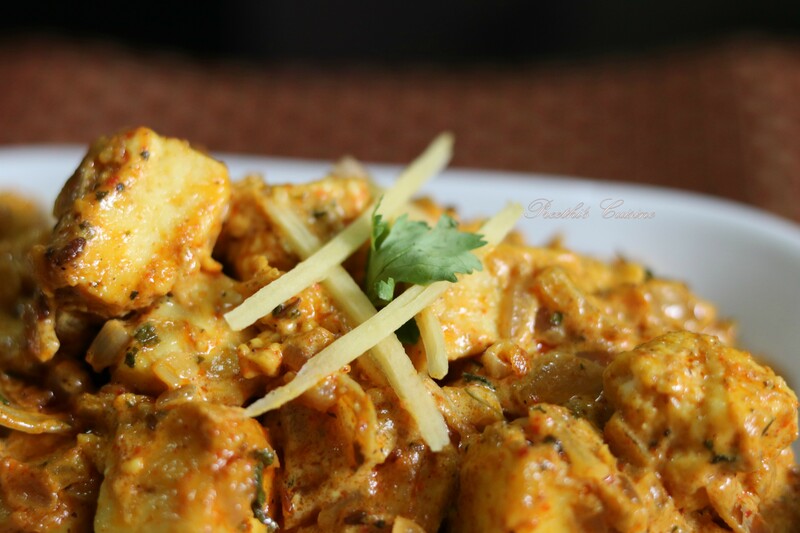 This Recipe can be made within 25 Mins and is very rich in taste too. Once in a while I indulge myself and my family to such yummy treats. This can be made whenever you want to please your guests. A quick and easy recipe that will tantalize your taste buds and leave you asking for more. Heat 1/2 tsp oil in a wok. Add Jeera, Haldi, ginger and Garlic. Roast for 1 Minute. Add the onions and roast till they turn golden brown. Add Paneer ,Aachaar masala and Chaat masala. Mix well and keep it on low flame. 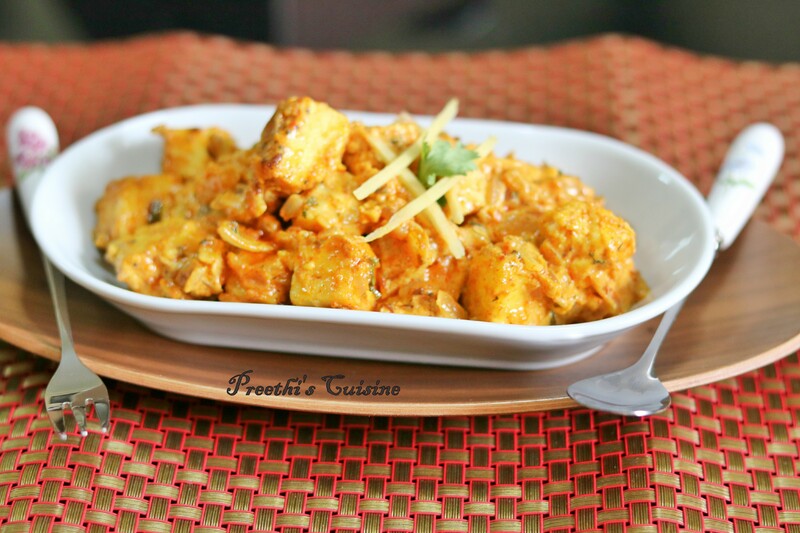 Once the paneer is well coated with the Masala add the cream and mix well. Once the oil starts to leave the sides, add Kasuri Methi ,mix well and switch off the flame. Serve hot with Naan / Phulkas /Rotis. 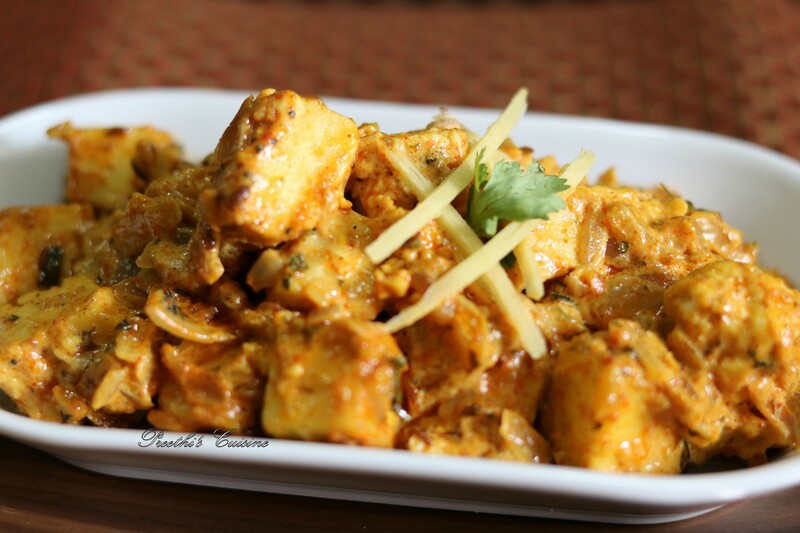 The paneer looks very creamy and rich di ! The recipe also is very easy. Lovely share !